I was invited to witness another amazing product which is locally made. I have tried different kinds of whitening lotion, but they failed to give what I expected. This time I was mesmerized to see that there is something better than the usual whitening lotion I have. During the demo, it was so amusing to see the instant output that it can give. I tried it too to myself and it's perfect because I was so tan due to almost every week of out of town for swimming. Perfect! I was so excited to try if it works without any trick. As I applied to my one hands... the results was instantly visible that you can see the difference. One thing I love about the product is it's not greasy and have a mild power scent. 1. It can give you "Instant White." 2. It will lighten your skin complexion. It has Papaya extract to dramatically improve tone, color and texture of your skin, giving you a vibrant complexion. 3. It will moisturize your skin. It has Dimethicone which acts as a skin protectant and emollient, leaving your skin soft and moisturized. 4. It has Vitamin C which is a powerful antioxidant that helps lighten the skin, improve skin tone, and delay the process of aging because it promotes collagen formation. 5. It has Sun Protection Factor (SPF) to be white and be protected from the sun. It has Titanium dioxide that acts as a lightening agent and sunscreen, preventing damage that can darken your skin. 1.Squeeze out ample amount of lotion onto palm. 2. Using your fingertips, dab all over desired area to lighten. 3. Spread evenly until blends with your skin complexion. 1. Do not use on face. For hand and body use only. 2. 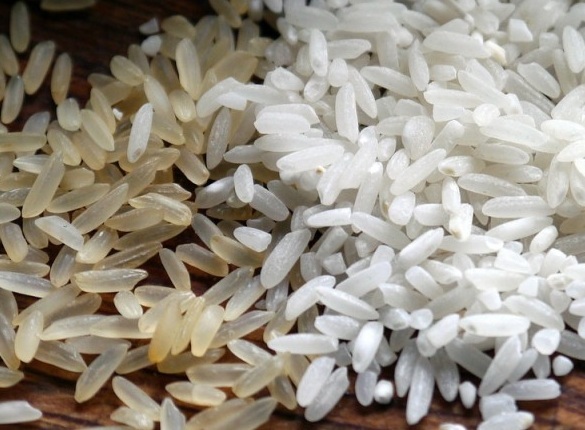 Store product at room temperature, away from direct heat and sunlight. 3. Keep out of children. Allele White is a product of Zafitrah and manufactured by Chemko Enterprise Unit 10 Greenhills Products Warehouse, M. Ceniza St. Casungtingan, Mandaue City, Cebu, Philippines. You can call them at Telephone number: (032) 5059299 and Email them at sales@allelewhite.com for orders and inquiry. Also, visit their website www.allelewhite.com for more details and promos. Be White Now and Even Whiter with Every use of Allele White! Every girl, lady or women had the dream about having a long and curly eyelash. We always want to be beautiful in eyes of others and most people will notice you right away if you have beautiful eyes and lashes. I remember when I was young, my auntie used to cut the tip of the lashes when there is a new baby girl in the family. They say, it helps the lashes to grow long and thick, which I noticed truly. However, there are some people who really not too bless having beautiful lashes. That is why in the modern day today, there are so many options that you can do to have you're dreamed curly and long lashes. There is salon who offers the so called eyelash extension and the false eyelashes which are really so hit especially to the teenager. But there is a downside of it, because the more you have it the more chances that you can lose your natural eyelashes, you can also have eye infections or injury that can lead to visual impairment or in worst case could be blindness. Another thing is that it can cost you more over the time. 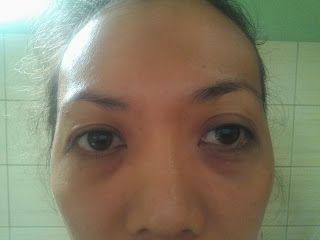 I am not saying that there is no solution with this problem and having falsies or eyelash extension is your choice. However, I know something that you will really love and could be the answer to your eyelash problem to get beauteous instantly. Can't wait to hear the good news? Oh well, there is a 3D mascara who is currently sprouting in fame in the market today. It guarantees the 300% of length, volume, and thickness of your eyelashes. It hypoallergenic, water-based, recommended for contact lens wearer by Ophthalmologist, looks natural, can be removed by water only, no smudge, no panda eyes and no need to use curl lash. So how was that sounds like? Do you like it? 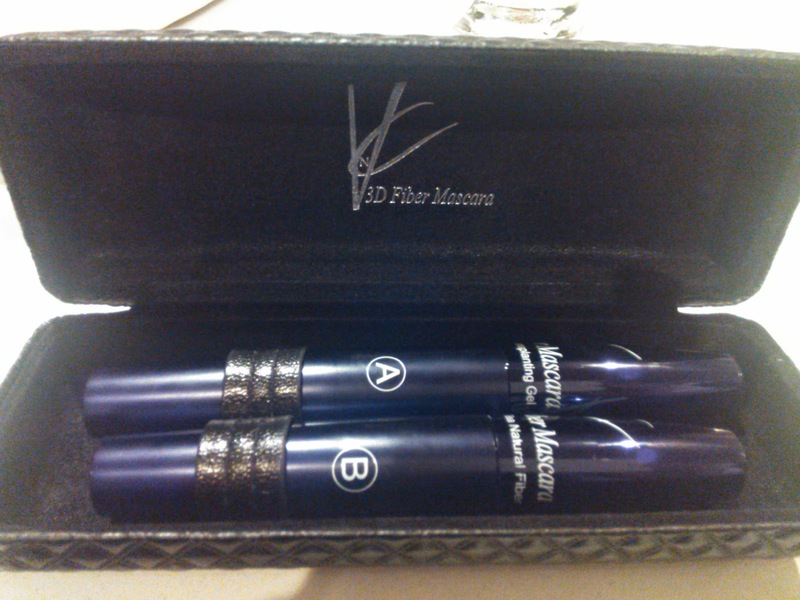 VNC 3D mascara is very efficient and not hard to apply. It just a normal mascara but there is a procedure on how to use it because every kit has a two sets of the tube. The collagen transplanting gel (A) and the green tea fiber (B). 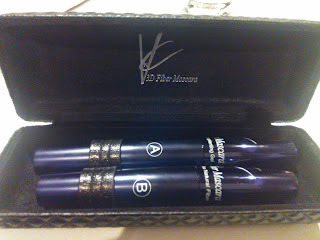 To learn more about the VNC 3D Fiber Mascara, you can visit their website at http://www.vncproducts.com/ and Facebook page at https://www.facebook.com/pages/3D-MASCARA/971043479576800. The bonding time of mother and their child are unforgettable. These memories stays with them because every seconds is a priceless moment. Friso believes that these experiences are important for a child's development. A healthy overall well being is not only driven by mental, emotional, and social growth but also more by the memories and bonding experiences shared with children. This year, the first ever Friso Fun Camp Experiences Event aims to tell this story about how they help a mother and child grow better through bonding moments. Learning, arts, sports, and music are the four main activities that moms together with their children will experience in a whole-day event. Last May 9, 2015 at Friso had the kick off at Rustan's Makati, and on July 18, 2015 there will be another Friso Fun Camp Experience at the Rustan's Alabang Town Center. Fun Camp Experience counselors are also present to assist and guide the mother and their child throughout the day. To bring this exciting activities to life, Friso partnered with The Learning Library, KidzArt, Mizuno, and JoomaJam to make the experience even richer. All the four activities will allow both mom and kids to experience more together through a whole day of fun. The Friso Fun Camp Experience event has been put together to create a great opportunity where parents and their child can enjoy time together while guiding the little one's well-being. For more information on Friso Fun Camp, please visit http://www.frisofuncamp.com or visit their Facebook page at http://www.facebook.com/FrisoPhilippines. or call the Friso Nutriline at (02) 63-(FRISO) 37476. Also, you can follow them on Twitter to learn about their lastest updates, news and event announcement of Friso Philippines. As we all know, when people grow old, we will be having wrinkles, puffy eyes, and so many changes in our physical appearance. Today, as the modern times is here. People even discover something we can do to prevent aging to look younger. 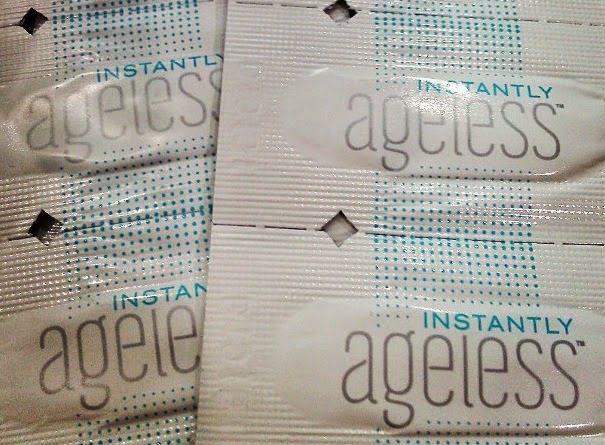 There are so many creams, lotions, and facial toners in the market, but none of them can give you instantly ageless. Perhaps, there are some who do but in a much longer period of time using their products. I was invited to witness an instant change which I don't believe at first upon seeing the video of a woman who got instantly ageless in a few minutes. However, seeing it live and in person, face to face using the product called "Instantly Ageless" by Jeunesse makes me believe that this product is something new and very much effective, specially to those people who seek to look 5 to 10 years younger by hiding their wrinkles, puffy eyes, and real age. 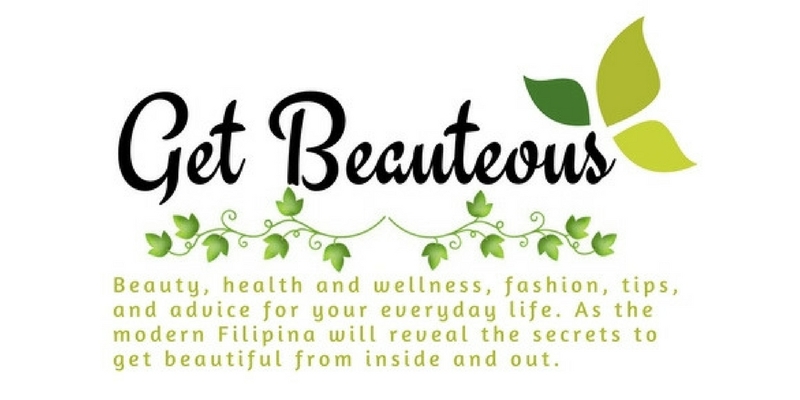 Skin Philosophie Medical Aesthetic and Lifestyle Solutions was the first skin clinic in BGC who offers it in addition to their Facials and Anti-aging Treatment. Instantly Ageless will erase your wrinkles and puffy eyes that last for 8 to 10 hours. This is safe and very effective because you can wash it with water and has the effect of botox without the needles directly injected to your face, especially if you don't like needles. We tried it to my office mate and it was so amazing... You can check out her picture below and see the difference in her right and the left eye. She requested to me not to show her full face instead take a photos of areas where we put the instantly ageless only. This product is perfect if you have interviews, dates, and events to attends. Are you convince now or want to see it for yourself? You can experience the miracle of Instantly Ageless by availing facial treatments to Skinphilosophie by Dr. Kyla Talens such as Windsor Clarifying Polish plus Instantly Ageless for Php650, Signature Facial plus Instantly Ageless for Php750 (50% off, regular rates Php1,500), and Insta-Lift plus Instantly Ageless for Php1,000) or check out My Skinphilosophie Experienced, and get 10% discounts and free consultation. 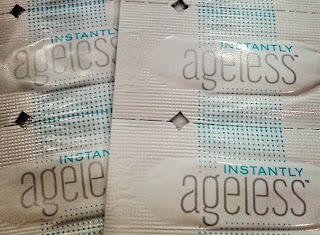 Oh, by the way, you can even buy Instantly Ageless through me in a sachet. If you buy in big volume you can get discounts. Remember, just buy to authorized dealers only to avoid issues and scam. Visit Skin Philosophie Medical Aesthetic and Lifestyle Solutions at the 3rd Level, The Fort Strip, 28th Street corner 7th Ave., Bonifacio Global City (BGC), Taguig City. You can also visit their website at http://skinphilosophie.com/ and Like their Facebook page at https://www.facebook.com/skin.philosophie for more information. Disclosure: I am an accredited online lead generator for Skinphilosophie.